Fun Coil Spring Shape Maker... 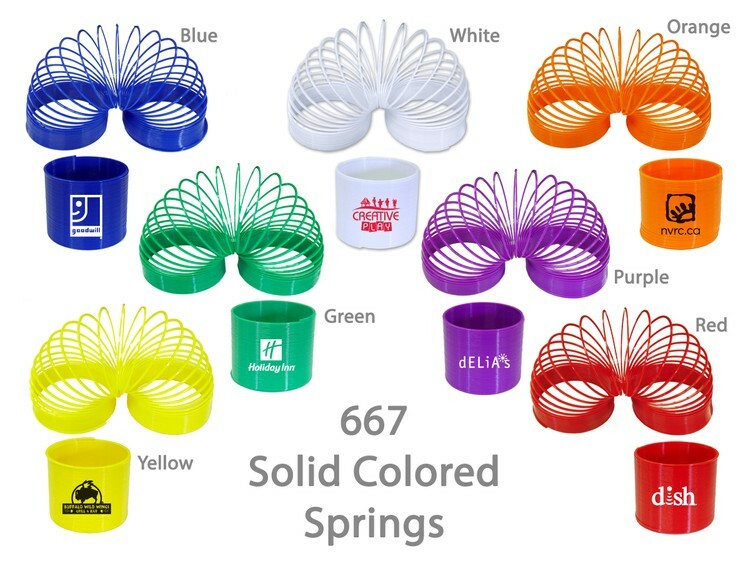 This solid coil spring makes fun and flexible shapes... Create an infinite number of shapes with this popular coil spring... Ideal for promotions related to creativity, flexibility, puzzles, children, toys and other events... Perfect as a stress reliever and mind relaxer when played with... Measuring 2 1/2'' in height with a diameter of 3 1/4''... Available in a variety of fashion colors as shown... Eco-Friendly, made from 100% recyclable materials. Available In Blue, Green, Red, White, Yellow, Orange, Purple, Rainbow Or Assorted.